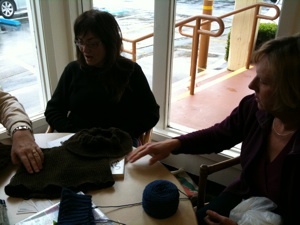 Well, First let me get these photos posted of you all and your sweaters in progress! 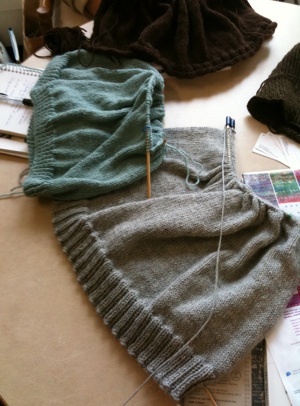 Later today I will do another post with additional videos (knitting on 4 double pointed needles, etc.). 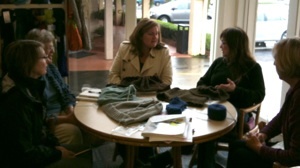 Suggestions being made for Cory's Cowl. 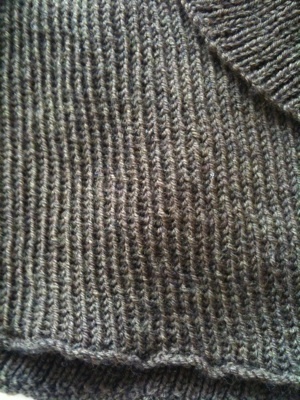 Cory's beautiful rolled edge with knit one purl one ribbing! (bottom to top) Linda's Dress! 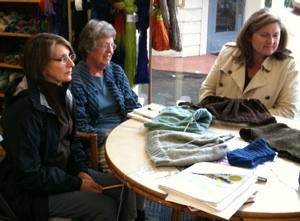 Sue's Basic Crew with Twisted Stitch Ribbing! 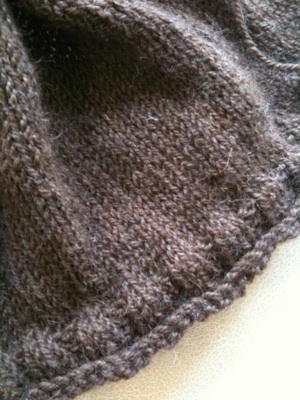 and Lia's rolled edge with K2P2 ribbing! 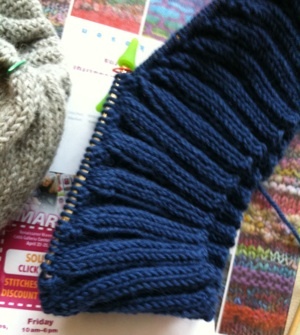 Close-up of Lia's rolled edge followed by K2P2 ribbing!